Lemont—As new home construction costs continue to rise, DONVEN Homes is encouraging homebuyers to take advantage of current pricing by purchasing their Ashbury Woods townhome now during their pre-construction final phase of this outstanding community. Homebuyers can benefit in today’s current real estate market by purchasing now and locking in current prices, while having ample time before closing. “We are willing to offer homebuyers current prices even though their new townhome may not be built for several months,” said Don Stevens, President of DONVEN Homes. “We understand there may be a home to be sold and a delay before move-in. That is why the pre-construction program works so well. Homebuyers will now have ample time to sell their home in this current market and not have to worry about the cost of construction going up while they are waiting for their new home,” explained Stevens. In addition to the current pre-construction prices at Ashbury Woods’ final phase, special upgrade option incentives are also being given, allowing homebuyers to further personalize their new townhome at a great savings. Ashbury Woods has five outstanding fully-decorated models offering both single-level ranch homes and two-story designs, several with first floor master bedroom suites, ranging in size from 1,800 to 2,450 square feet. The townhomes feature 2, 3 or 4 bedrooms, 2-plus baths, dens, lofts, full basements, 2-car garages and all the upscale amenities to satisfy the most discerning homebuyer. The Ashmore is a luxurious ranch home featuring 1,800 square feet of living space that includes 2 bedrooms plus a den. This home is perfect for those seeking one-floor living. The Dunhaven is an elegant “ranch” two-story home featuring 2,100 sq. ft. with a first floor master bedroom suite, 2 additional bedrooms on the second floor, 2½ baths, large formal living room with volume ceiling, second floor loft overlooking a vaulted ceiling foyer and dining room and a large gourmet kitchen with corner breakfast room. The Edgebrook is a classic all brick two-story with 2,425 sq. ft. of living space, including the optional bonus room, 3 bedrooms and 2½ baths. It features nine foot ceilings, a large family room/loft overlooking a 2-story living room and dining room, a spacious island kitchen with a bright breakfast room, convenient first floor laundry room, 2-car garage, full basement and exterior patio or deck. The first floor master suite has a tray ceiling, luxury bath and walk-in closets. The Carleton is a distinctive two-story home with 2,200 sq.ft., featuring a living room, dining room, first floor study and 2 bedrooms plus loft (3 bedrooms plus loft option has 2,450 sq. ft.) with 2 1/2 baths. The Biltmore is a dramatic two-story home featuring 2,200 sq. ft., individual living room, dining room, family room and 2 bedrooms plus a loft (3 bedrooms plus loft option has 2,450 sq. ft.) and 2 1/2 baths. 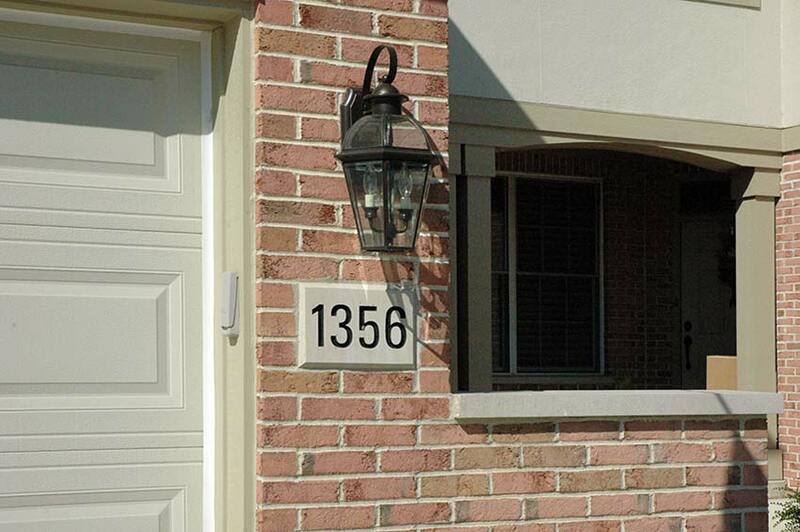 The townhomes of Ashbury Woods offer the sophistication and ease of maintenance provided by all brick exteriors and aluminum clad Pella wood windows. They are also built with superior quality “shaft wall” party walls to provide fire protection to the home as well as greater soundproofing to further enhance privacy. “The fine details of constructing a home are very important to us and we make every effort to ensure that everything is done properly from start to finish. We are always pleased to hear how satisfied our homebuyers are with the quality of their home and the service they received. We know everyone taking advantage of our pre-construction pricing and special incentive upgrade packages will have even more reason to buy now at Ashbury Woods,” said Stevens. Homebuyers looking for upscale maintenance-free living in a convenient, close-in and sought-after community need look no further than Ashbury Woods. The community is located in the growing Village of Lemont, well-known for its commitment to combining a historic past with a progressive eye to the future. 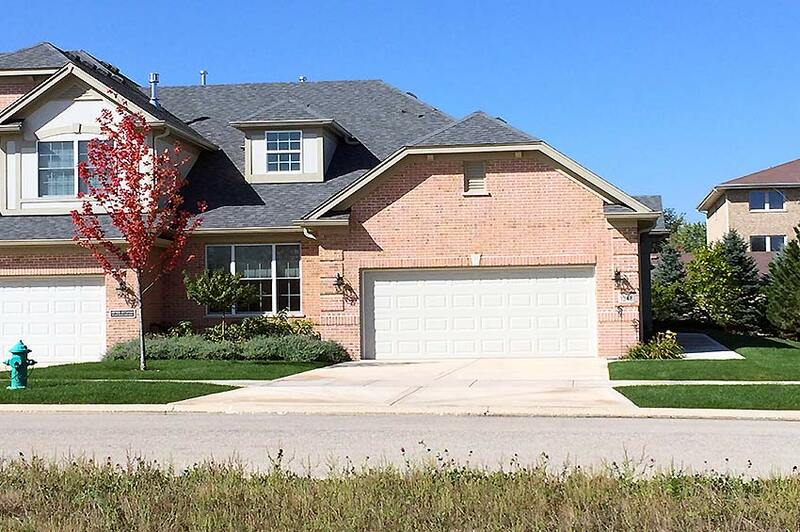 Recreation, golf, dining, entertainment and cultural attractions abound, and shopping is nearby at numerous neighborhood locations as well as large malls such as Orland Park and Oak Brook. Four expressways, including the new 127th St. interchange on I-355, are within easy reach, and the nearby Metra commuter train station in Lemont makes for a pleasant and convenient trip to the Chicago Loop. Visit the Ashbury Woods Sales Center and models located on 127th Street, 1/2 mile east of Lemont Road (State Street) or 1 mile west of Archer Avenue (Route 171). Open from 10:00 A.M. to 5:30 P.M. Prices from $389,900. For more information, call (630) 243-1110.